Event: Challenge Cup, Coming Up! Support chirrp at 1776’s Challenge Cup Miami this Thursday, Sept 28th! This high speed pitch competition will showcase some of most innovative startups from Miami. Chirrp’s CEO and Co-Founder, Mallesh Murugesan, will highlight how chirrp utilizes AI to bring a human touch to chatbot interactions. The event kicks off with a networking reception at 5:30pm. The competition will begin at 6:45pm. Register for the free event here. Challenge Cup is a global pitch competition for the world’s most promising startups that are solving complex challenges. Challenge Cup takes place in 75 cities. In each of these cities, 1776 partners with a leading local startup program to host a Challenge Cup experience on 1776’s UNION Network, a digital platform that connects startup ecosystems around the world. 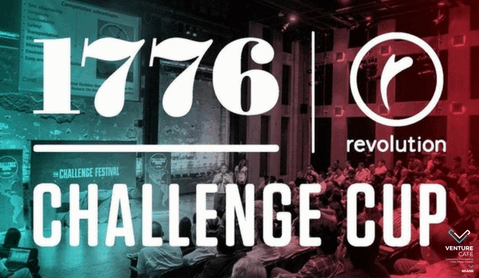 These qualifying competitions identify one winning startup from each city to advance to the Global Finals at Challenge Festival. Challenge Festival convenes investors, policymakers, and innovators from across the globe convene to examine and discuss pressing global challenges. https://www.abeyon.com/wp-content/uploads/2015/03/logo_abeyon_big-gray-300x85.png 0 0 Mallesh Murugesan https://www.abeyon.com/wp-content/uploads/2015/03/logo_abeyon_big-gray-300x85.png Mallesh Murugesan2017-09-15 16:47:512018-11-15 17:21:02Event: Challenge Cup, Coming Up!